Home » News » Will My Mezzanine Floor Need Fire Protection? 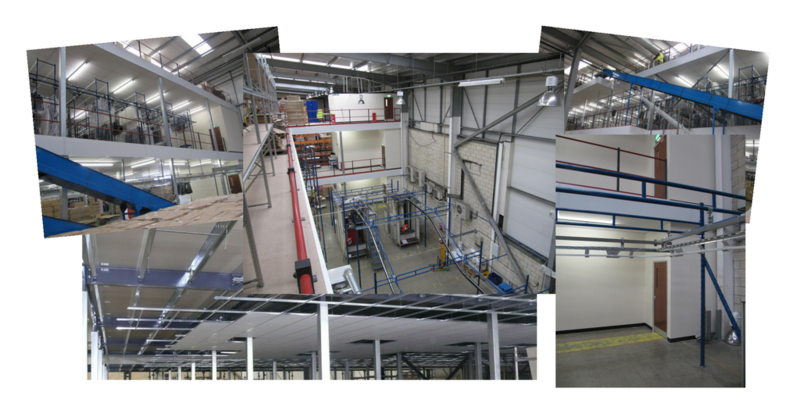 We are often asked “Will my mezzanine floor need fire protection?”. Well…the answer is more than likely, yes. But don’t hold us to that. All mezzanine floors should be assessed on an individual basis and subject to building regulations. Fire protection is an important and necessary part of building regulations, it’s purpose is to slow the spread of fire and maintain structural integrity of the mezzanine long enough to allow safe exit for employees and entry for fire fighters. There are still some exceptions when fire protection is not necessary, generally speaking these are if a mezzanine floor is for storage purposes only in addition to covering less 50% of the area in the building its occupying, measures less than 20m x 20m in either direction and is located in a typically low risk environment. Mezzanine floors that are intended to be used for anything other than storage (i.e. retail/public use) will need fire protection irrespective of size. Our most popular and economical method of fire protection. A suspended ceiling hangs vertically from underneath the mezzanine floor. To protect exposed edges of the mezzanine floor. Fire rated column casings protect the steel work on columns against fire damage. We appreciate the importance of safety for our customers which is why we treat every floor uniquely. If you have any further questions or seek advice on fire protection options, please contact us directly. We are always happy to help!